In 1939, the AAA Guide described this early chain motel as "one of the finest courts to be found in the St Louis area". 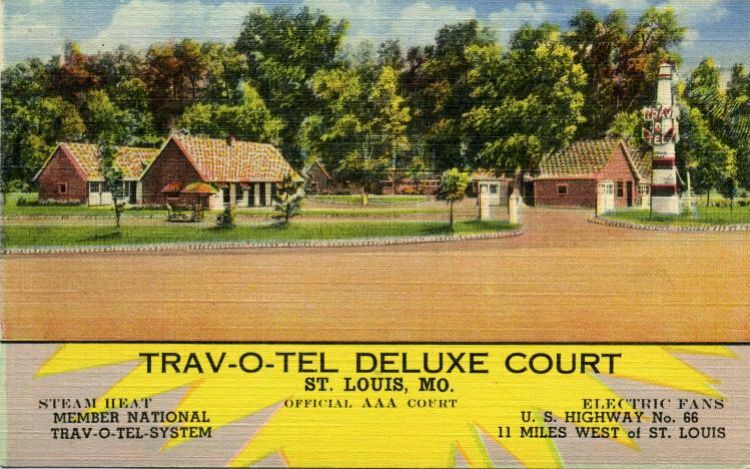 The Trav-O-Tel Deluxe Court with "closed locked garages" and "broadloom rugs" was located on the south side of Route 66 near the intersection with Old Antire Road. No trace remains today.